Last weekend, Sheena and I made a whirlwind trip back home to Nova Scotia for a good ‘ol Cape Breton wedding. Our flight was Thursday and direct(!) from Calgary to Halifax. 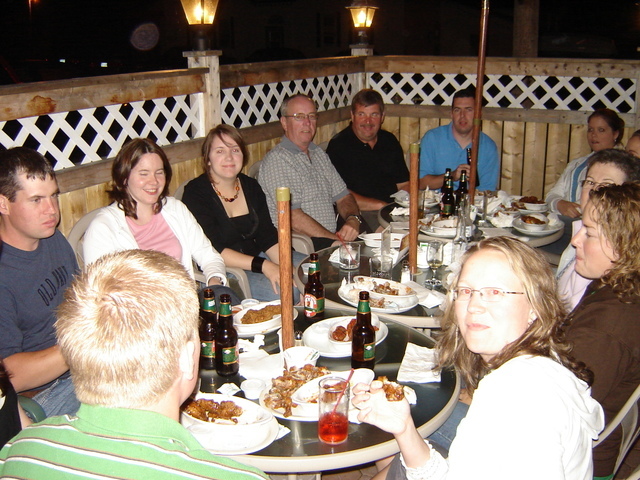 After landing at Halifax and driving the three and a half hour trip to Mabou, we went straight-away to the Red Shoe Pub for wings, Keiths and music with family & friends. 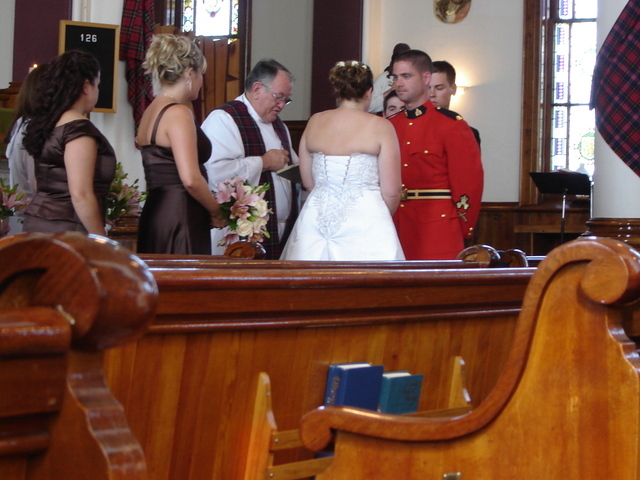 On Friday, my cousin was Stephanie married at Saint Mary’s Parish in Mabou. Cape Breton weddings are quite an event, filled with tons of family, food and fiddle music. As we’ve been living out west the past few years, we’ve missed a fair share of weddings in my family. So, earlier this year, we said we’d get to this one. It was great to see new babies, new and old boyfriends that we hadn’t met yet and enjoy the company of cousins we hadn’t seen in a while. After a few more days of visiting, bbqing, trips to the beach and a square dance, Kris met up with us in Brook Village on Monday night. 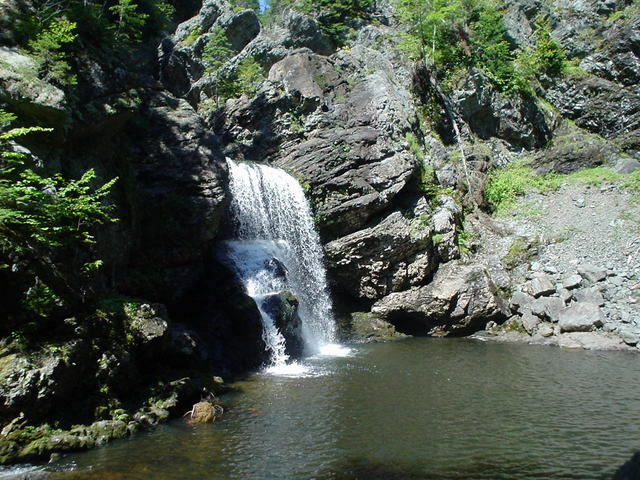 The following day on our way back to the airport, we made a side trip to Cutie’s Hollow Falls, located near Antigonish. 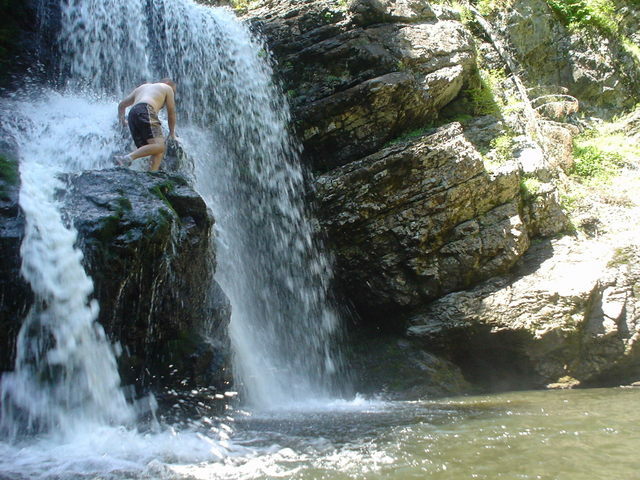 We were quick to enjoy the fresh cool water. Overall, a short trip home, but a fulfilling one for sure! what terrific pics of the “climb”, David. Your photography is always impressive. I thank you for taking me places I will never venture in person. we look forward to seeing you both in september. It was such an awesome weekend with you both home!! Loved every minute…the drive from the airport to the Red Shoe (where Sheena wanted to make new friends for David), showing Karen around Mabou (her first trip!!) and the wedding of course. Can’t wait until we can do that more often! !